Is sensitive to your needs. Absolutely won’t let you make a mistake. Has a tested network of Real Estate professionals. Jeff Nolan is that partner. A natural advocate for his clients, he is ranked in the Top 1% of all realtors for the largest Real Estate holding companies in the country – Realogy (RLGY). Since 2011, he has been a Multi-Million Dollar Club Member in the most prestigious agency in New York City, The Corcoran Group. Almost 80% of homes in New York go to a bidding war. You may have experienced a situation like this in the past. At this level of negotiations, you want a partner on your side that has done it hundreds of times. 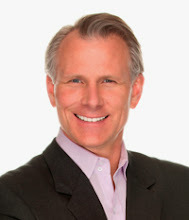 Before becoming a real estate agent, Jeff worked for Ford Motor Company for 13 years. His job was to negotiate directly with the owners of luxury automotive dealerships. He learned how to win a negotiation from some of the most savvy business people in the automotive industry. The most important lesson: the negotiation is won before it even starts. What motivates the seller and the broker? Is it the asking price, emotional ties to the apartment, the fairness of the process, a non-contingent deal? How savvy are the seller and broker about New York City real estate? How will other bidders and their agents act? What motivates them? What is the true value of the property, regardless of the asking price? All of these questions are asked with one goal in mind: to save you time, energy, and money. He’ll also go the extra mile to protect you from a poor investment by uncovering undisclosed information, discovering costly aspects of the property, and evaluating recently sold comparables to determine whether a building is the right fit for your specific needs. Always a good listener, Jeff asks many questions of his buyers as well, making sure he fully understands what you’re looking for: your needs, your wants, your financial picture, and what you are willing to do to get your dream home. When the fit is right and you have to have this condo, co-op, or townhouse regardless of the terms and conditions, no matter what, he’ll figure out a way to achieve your goal.